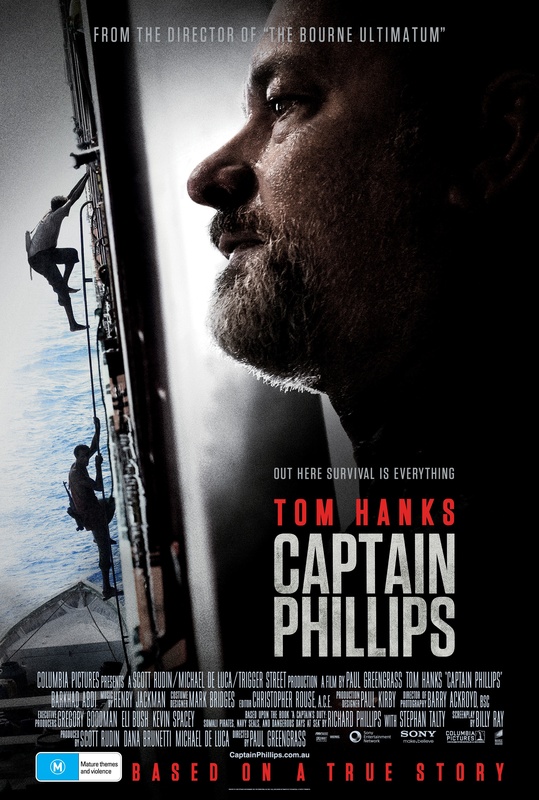 A pulsating, nerve shattering biographical action thriller that starts with a proverbial whimper-like-lameness and ends with a resounding bang, ‘Captain Phillips‘ imprints on the viewer’s mind and heart feelings bordering on awe, admiration, and distaste at the harrowing disparity among humans on different planes though habitating the same mother earth. 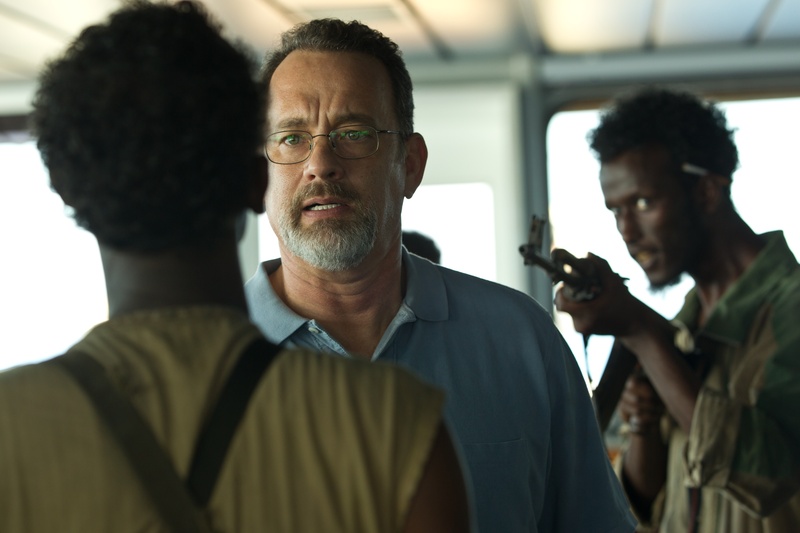 The film is remarkable for the riveting performance of Tom Hanks and the new comer Barkhad Abdi as also for Paul Greengrass‘ sensitively consummate forte in presenting the 2009 hijack drama. The movie opens on a leisurely take of Captain Richard Phillips [Tom Hanks] as he leaves his Vermont home as wife Catherine Keener drives him to the airport chatting casually about their children and their future. She kisses him a customary good bye and a safe return. And shortly thereafter we see the mighty American container Maersk Alabama on the troubled waters trying to ward off the pirate-siege. With baited breath the audience watches the unfolding of the hostage drama of the ill-starred ship as the captain and crew devise strategy to outsmart their likely captors. We all root for perfect and authentic-to-the-core captain as he stages an imaginary radio theatre and orders the hose water drill. But undeterred by the verbal stage craft and the pressurized jets, the radar screen of the ship points out the pirates’ relentless presence as they will soon effect their hostage act for $10million. It is now that the nail-biting tenseness slowly grips the viewer the manouvers of American negotiations, the Navy and the SEAL notwithstanding. A sense of doom surrounds the level-headed family man Phillips, a tenseness that grows thrillingly intense as the brave man is whisked away in a closed life boat. The capturing of the stark poverty of the Somalis is vividly symbolized in the all bone frame of Captain Muse [Barkhad Abdi] and his crew-one of them a young barefoot teenager. It really seems a bittersweet world with its pot of riches with some and the empty bowl with others. The viewers sympathies get torn. So young a Somali yet so fierce and relentless that one false move, one false word from Phillips will powder him to dust. And on this collision course of the two captains the film vents, as a final stroke of sheer genius, the emotionally intense music cue The End from Greengrass’s earlier flick.